Experience the best statistics calculating script ever made. 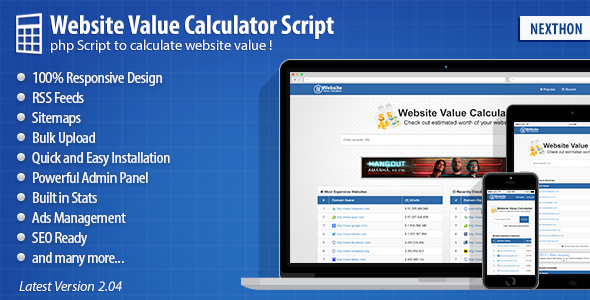 Website Value Calculator is the most unique and efficiently written script. It provides everything you want to know about a website. You can check worth of a website, its page rank, page speed, domain authority, its bounce rate, traffic statistics, pages indexed in search engines, Alexa graphs, website safety statistics, SEO statistics, social media statistics, domain and web server statistics and even more.